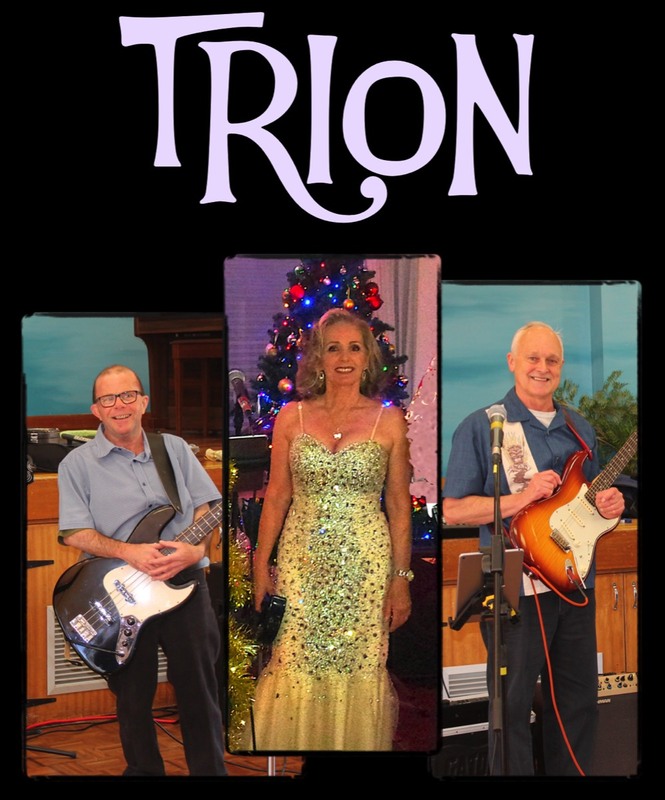 Trion Music is a versatile trio with Kerry on lead vocals, Brian on guitars, Gary on bass, with e-drum rhythms. Our aim is to have a bright rhythmic feel with a toe-tapping rhythm to keep any fun lovin’ audience happy! We play genres for a fun time at any function whether it be for general club entertainment, corporate functions, birthday parties, dance gigs, farewells, goodbyes or any private functions AND we can also fit onto a main stage, a small stage, a room corner, or on the back of a truck, although we do recommend licensed premises (Clubs etc) for private functions. We are experienced & dedicated musicians. We approach all gigs with a ‘good business attitude’ and will strive for ‘customer & patron satisfaction’ AND we certainly don’t mind accommodating customers’ wishes - just ask! Trion is a new trio that has emerged from existing bands and from function requests. We have 'top of the range' musical equipment, modern line-array PA systems, digital mixer, LED Lighting and backup gear. In other words, we provide full production including recorded music for band breaks. Places we play are generally Sydney, Central Coast, Hunter and others - just ask! The Legal necessities we have are Public Liability Insurance and ASIC registration. ASIC Registration allows us to have the url web suffix of '.com.au' for Australian web registration. This shows that our aspirations are genuine and mindful of business concerns.